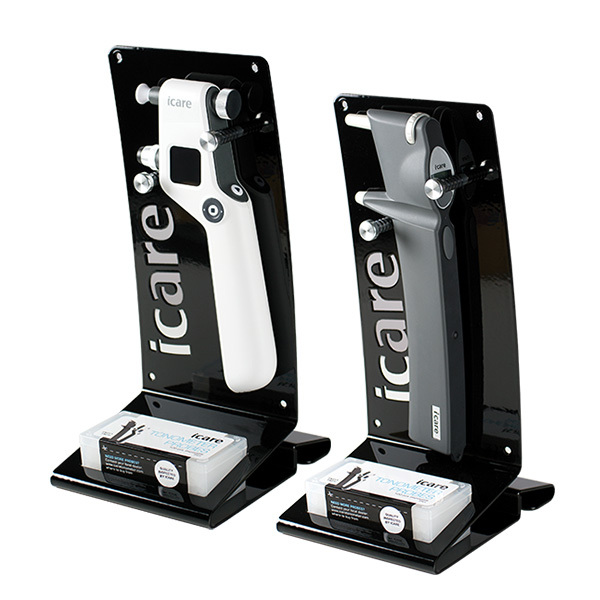 Icare Wall/Desk Stand. This universal stand will accommodate both the Original TA01i and the ic100 tonometers. The stand can be placed on a counter or wall mounted to create additional counter space.